CRIME, GUNS, AND VIDEOTAPE: St. Patrick’s Day in Chicago, The way it Was! 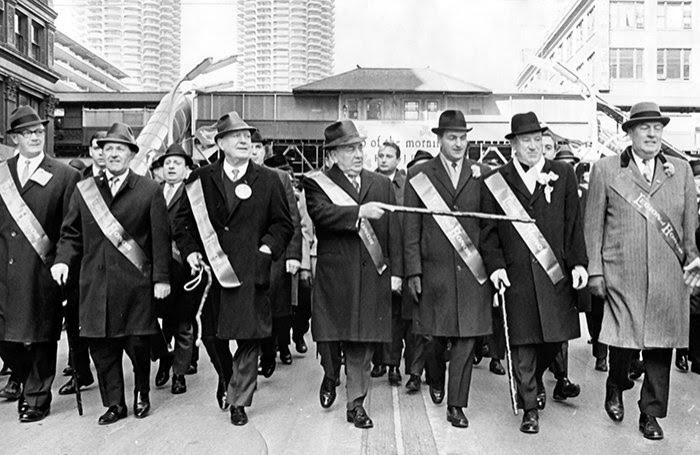 Chicago, IL—Before the push to demonize Catholicism here and elsewhere St. Patrick’s Day was a special event in Chicago like none other. The radical Left Wing used their influence to destroy a grand celebration of Irish pride. The date of St. Patrick’s Day is March 17th. It’s by no means the nearest Saturday. Politicians all but ended local government cooperation throwing cold water on the celebrations all over the city. This special day was not by any means an official paid holiday for anyone. However in Chicago the city simply all but shut down. The children played hooky from school and everyone took part in celebrations. At the city offices and private businesses nobody called in sick, it was understood they weren’t showing up for work! This was by no means a religious celebration, but one of absolute fun and merriment. Most of Chicago’s Democratic ward organizations held corned beef and cabbage dinners for their members. Grand parties were held everywhere but the ghettos. Almost everyone became Irish on this fun day. The St. Patrick’s Day Parade was a blast. 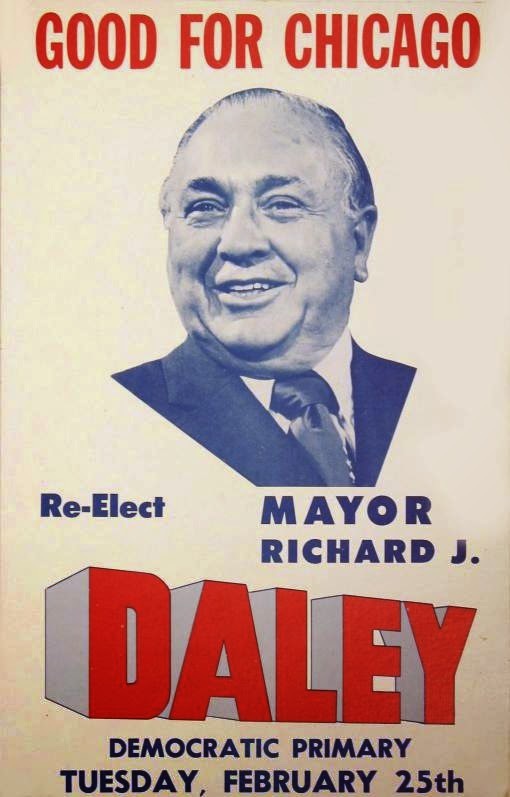 The real mayor, Richard J. Daley, not his worthless son by a similar name was the MC. In the glory days of the 1960’s and 70’s all parades began at Hubbard and State Streets. The first residential building it passed was where I lived at Marina City. From my apartment I had a wonderful Southeastern view of the city and could watch the parade from beginning to where it ended at State and Congress Streets. That Notre Dame football great, later signed by the NFL, Steelers, John Joseph “Johnny” Lattner, owned the Marina City restaurants and he knew how to throw a grand Irish party. Green beer flowed like Niagara Falls everywhere. It matched the river below that was always dyed green for the occasion by the Chicago Plumbing Council under the control of the Late, Daniel Patrick Leyden. I don’t quite understand just what happened to the crazy women that partied more than I could ever imagine. Their clothes quickly came off as they chased the boys! It was always just like Sadie Hawkins Day from Al Capp’s, Li'l Abner hillbilly comic strip. I could run but not hide from some incredibly attractive hotties. Saint Patrick’s Day for me was the greatest celebration of the year. It’s all but gone now. Mayor Daley’s successor Michael Blandic and the city council members funded their campaign contributions and illicit slush funds for a decade by shutting down traffic on State Street for their billion-dollar State Street Mall project. Aside from crippling downtown traffic it was a grand failure in every respect. Needless to say the parades were rerouted. In true Chicago style the politicians soon deconstructed the State Street Mall and opened State Street once again for yet another cool billion! Just imagine how sound the public employee pensions would be today with the $2 billion that was wasted and stolen by Chicago’s corrupt politicians? The only real celebration today was when the South Side Irish Community began to hold a parade a parade to replace what was gutted. Chicago’s Irish have since taken a distant back seat to African-Americans and Hispanics and parade permits were sometimes denied. There is little left but a token celebration on the nearest Saturday. The St. Patrick’s holiday spirit died with the late Great Richard J. Daley. RIP St. Patrick. At least they can’t take my fond memories.